I like the shop houses in Singapore. 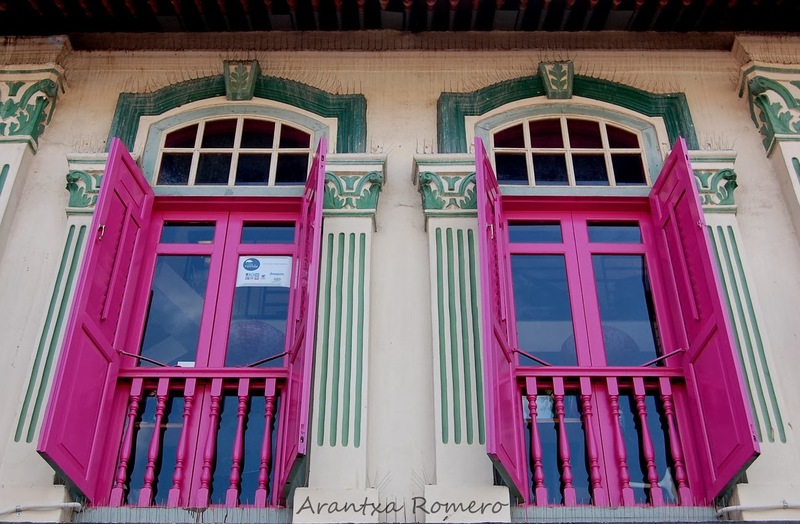 And of course the pink windows got my attention. Me gustan mucho este estilo de casas (shop house). Y como no, me han llamado la antencion las rosas.